4. Sending out a Thanksgiving treat to the neighbors? 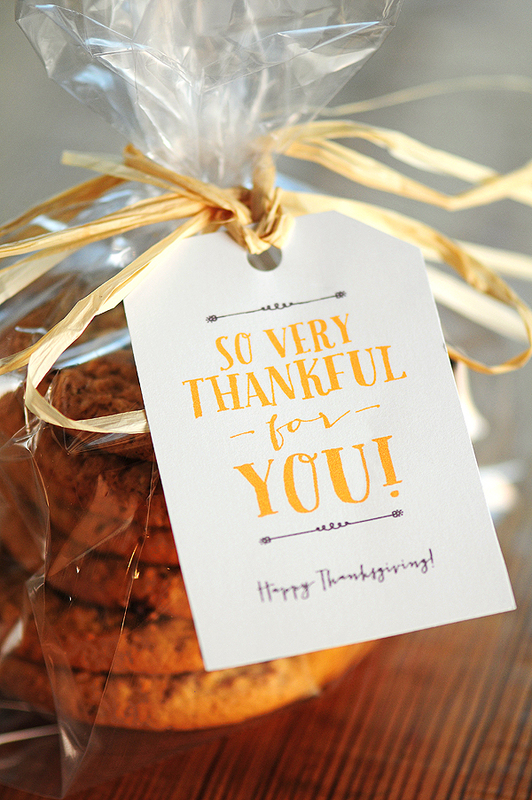 Attach one of these Thanksgiving Gift Tags and Note Card Printables from She Wears Many Hats. Beautiful!